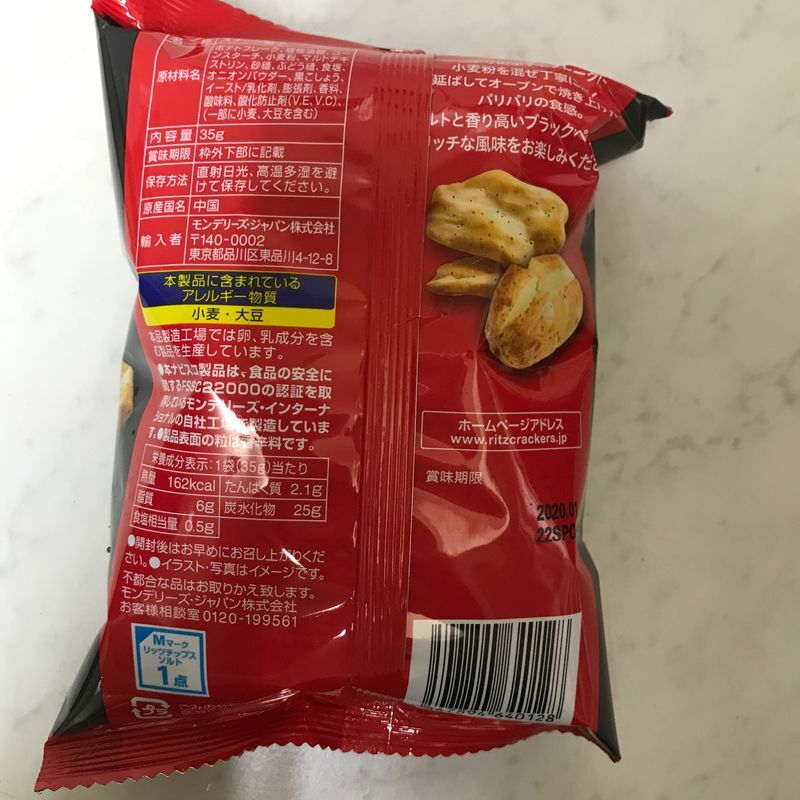 Lately, I've found myself reaching for the Western snacks whenever I'm out grocery shopping. Before, I'd always try to get Japanese brands because I wanted to try something new. But now, I lean towards the familiar Pringles or Lays whenever I can. At the store, a new addition caught my eye. 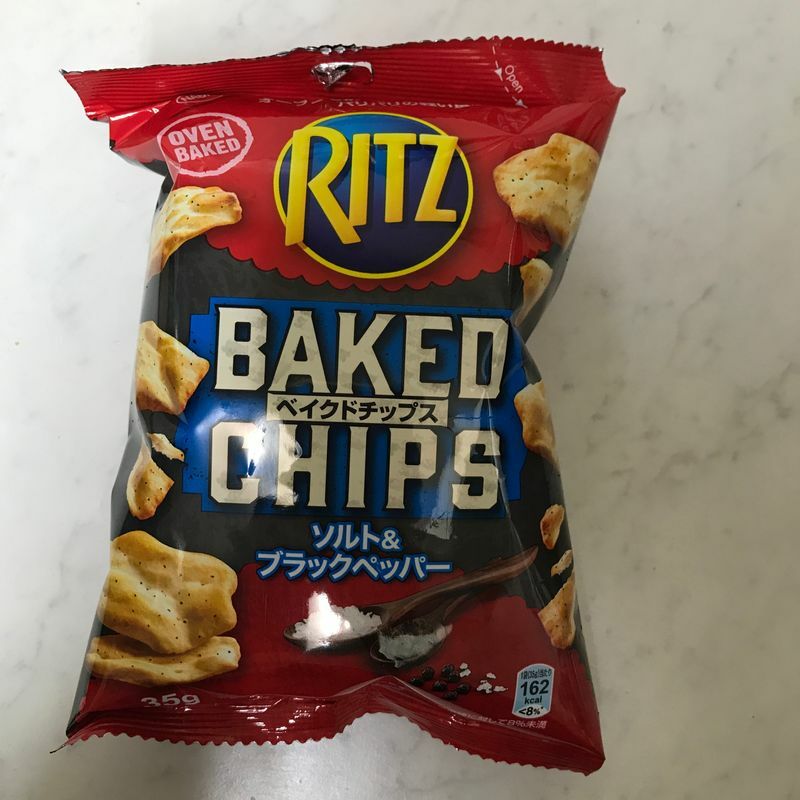 Ritz brand baked chips, in salt and black pepper flavor. Normally, I don't even like Ritz crackers. They're too thick and I'm not a fan of the mush in my mouth. But I reached for these baked versions because I'm a big fan of baked Lays, and I thought they'd be about the same. 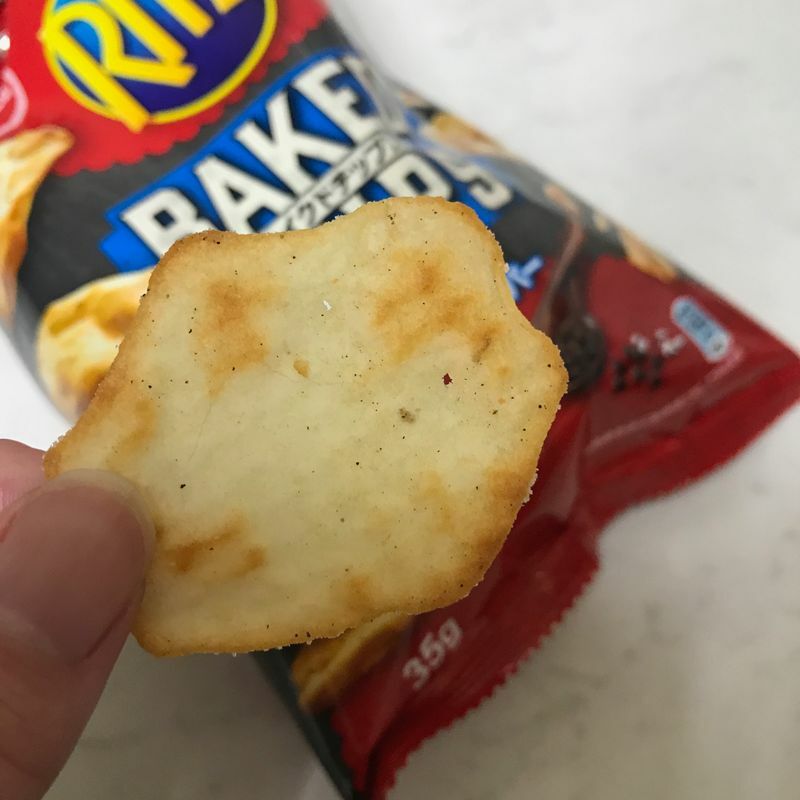 Usually, when something is advertised as baked (rather than fried like a normal chip is) it's because they're marketing it as a healthier alternative. I was surprised that there was no mention of it being the "healthy choice" or anything like that. At 162 calories a bag, I guess it speaks for itself though. The crackers surprisingly looked like what they did on the package, perhaps just missing a few pepper flakes. The flavor was nice, but nothing to write home about. Salt and pepper is hardly an innovative flavor combination. But the consistency is what made it great. It was flakey and light and because of this, almost melted in my mouth. It was the perfect vehicle for the flavor (though I do wish it was a better flavor). My only big complaint here is the bag wasn't very full. I guess that's the real reason it contained so few calories--there were so few chips! 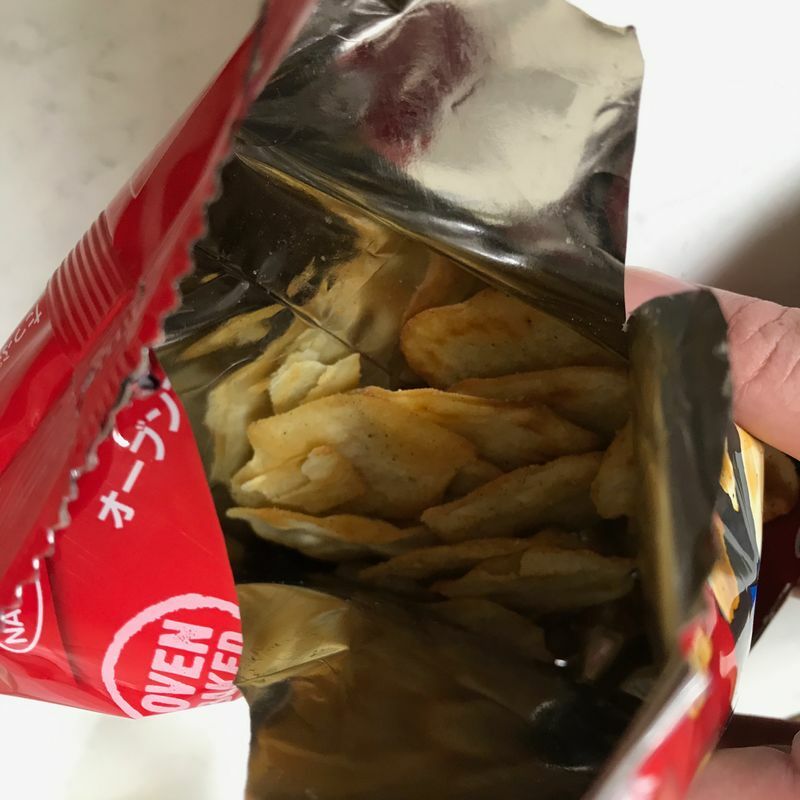 The crunch of these things was seriously addictive, so I guess it's for the best that they cut me off like this... That just means I need to pick up another bag next time I'm out.